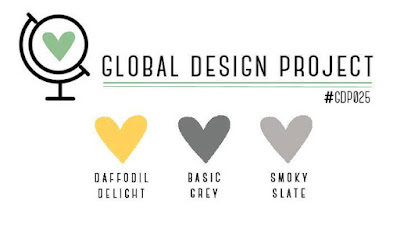 I am very excited about our Global Design Project Challenge this week - It's a colour Challenge! There are so many ideas for using these colours that came flooding in. What options can you think of right away? I can't wait to see what you all do. 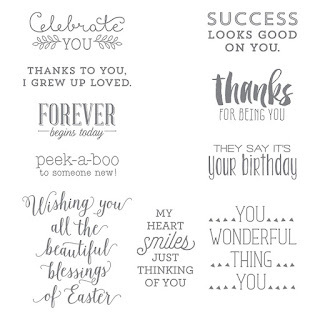 The design team has done some fantastic cards that will give you a variety of options and styles using these colours. We just returned today from Brisbane, Queensland and I knew that I was going to return home and need to create a card for the Global Design Project Challenge tonight. I knew the colours and was looking for inspiration to hit me while we were away. Well it sure did! One of the pillows on the couch were using these colours and had these shapes and I was SOLD. I got Bruno to hold it up and took a photo right away. I love that inspiration is everywhere around us we just have to be observant to our surroundings. 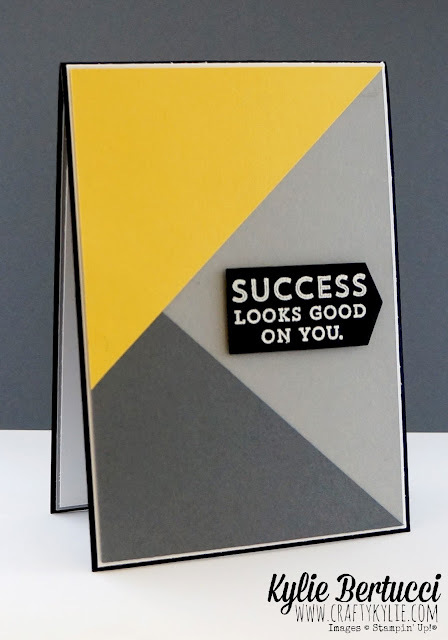 I adore embossing on black and the Suite Sayings stamp set was the perfect addition to this modern, clean card. I used one of the tags from the Gift Card Envelope and Trims Thinlits. I think it is so HOT. I used dimensions to make that pop out. 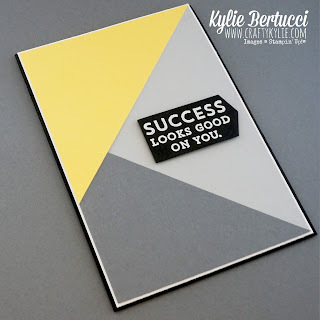 This was a super simple card to make and yet I really love the look and the finished card. The colours are just gorgeous together. To layer the angles I kept it really simple and cut all three colours in the same measurements (14.4 x 10cm) And then cut the Basic Grey and Daffodil Delight at the angles that I wanted and layered them - the smoky slate I didn't cut at all. Love to hear from you! 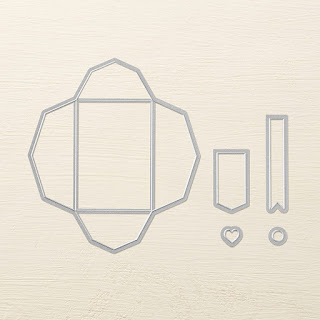 And make sure you head over to the Global Design Project this week to either play along or be inspired by the gallery that is growing all the time. Very clever and effective card Kylie! Very cool and eclectic design that would work with so many color combinations! TFS! Love this bold, graphic look you came up with. Everything is so precise and tidy. Love it. I adore the bold use of colour and geometry on this card!! 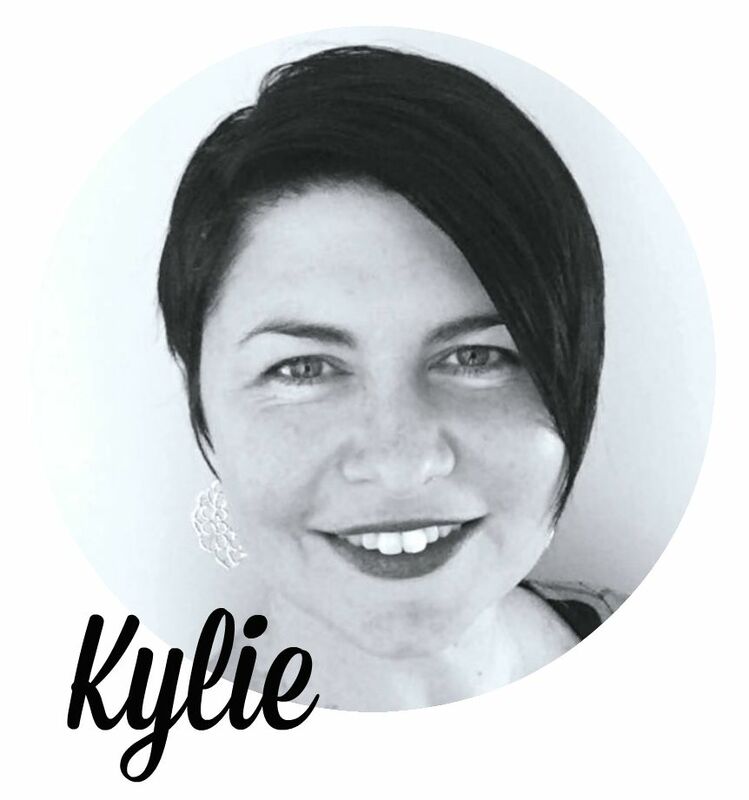 Kylie - I love the bold layout of this card. 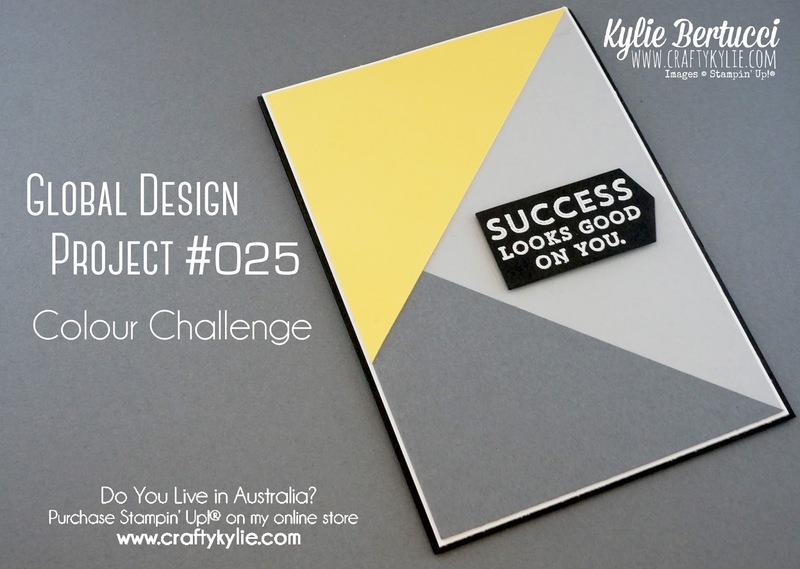 Such a great way to showcase these great colors for this challenge. You are the queen of bold and graphic. What a great card Kylie! Such impact! Love it! WOW I just love your geometric card Kylie, so striking! what a manly & bold card - and simple! I am loving it!